What search terms are people using to find you? 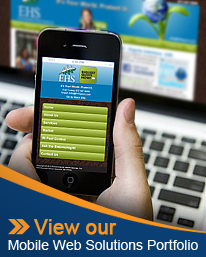 Is your website effective at generating leads and sales ? Are your linking and/or advertising partners really driving traffic to your site? Find out what your website visitors are doing, and how you can improve your internet marketing effectiveness. With statistics like these and a good internet marketing partner – you’ll win. Every website should have business goals and defined objectives. When customers realize those goals, you have conversions. You can use metrics data to encourage visitors to purchase, subscribe, register, make referrals, or accomplish other goals that can be both measured and optimized. Yes, it's possible to funnel Web analytics information directly to the bottom line and turn data into dollars. Contact WSI Pro Marketing at 508-316-1528 to find out how to follow the scent of a customer. Online, almost everything can be measured: unique visitors, clicks, engagement, open rates, conversions, demographics, branding and time spent are just a few examples of the many available metrics. Marketers and business owners like yourself embrace the very real potential of all this information – but often feel overwhelmed by mountains of data, or stymied by the technology that delivers the solutions. So how should you determine what to measure? Make sense of all the data, charts and numbers at your fingertips – then turn it into action? Measure across channels (even offline)? Forecast? 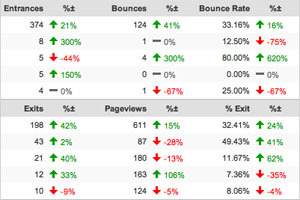 How do you best evaluate your Web Analytics data? Contact Us to learn more. 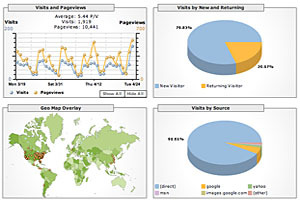 Web analytics isn't just all about you. Competitive data can provide an apples-to-apples comparison of you to your online competitors and your industry. WSI can help provide data that enables you to gauge metrics such as the percentage share of industry visitors to your site; the campaigns competitors are running and how well they work; benchmarking search marketing; industry conversion rates, and more. Once you understand visitors' behaviour, you will be able to identify and eliminate navigational obstacles that slow down or prevent visitors from completing the conversion goal. The result will be an improved visitor experience encouraging more conversions. A WSI Pro Marketing Consultant can show you a scientific, logically progressive way to make more money online using Web Analytics. Call for a meeting today!